Like most corporate organisations the Watchtower have an FAQ section on their website http://www.jw.org. I was interested to see what questions they would put on here and indeed what response they have. After going through all of these you can clearing see that what they paint on there website is very different to what actually is teach once you look into it. A false religion is not going to come to you shouting about their false 3, their un-biblical doctrine and there controversial teachings. So what they do is completely lie about things on there website to try to trap people into joining. This may sound harsh, but it is very blatant what they do. I won’t go through every single one but lets go through so of them. FAQ – Do You Shun Former Members of Your Religion? Every EX Jehovah’s Witness has just gone ….what??? We all know that this is completely un-true. We know this because not only have we all experienced this as EX Jehovah’s Witnesses, Watchtower literature says a very different story. Clearing what they say on http://www.jw.org is completely false. The religious ties he had with his family change, but blood ties remain. The marriage relationship and normal family affections and dealings continue. Yet they write in a Watchtower last year..
FAQ – Who Was Your Founder? Although they talk briefly about Charles Russell this is what they say. Since Jesus is the Founder of Christianity, we view him as the founder of our organization. WOW! What a claim! Let me lay out some issues. 1) The Watchtower did not start till 1878, what was Jesus doing for nearly 2000 years? They may say that God was with people like John Wycliffe and William Tyndale (See Watchtower 15/08/2009), the reality is that these men of God where Trinitarians and would have refuted Watchtower doctrine. 2) Jesus did not come to set up an organisation, he came to set up a relationship. “Come to ME all who are weary and heavy burdened and I will give you rest”. Matt 11:28″. “I am the way the TRUTH and the life” John 14:6. 3) Jesus was really clear to Peter “And I tell you, you are Peter, and on this rock I will build my church, and the gates of hell shall not prevail against it.“Matthew 16:18….This may come as a shock but Charles taze Russell did not start the Watchtower from the rock that Jesus quoted! FAQ – Why Are You Called Jehovah’s Witnesses? Jehovah is the personal name of God, as found in the Bible. No it isn’t. Let me break down where the name JEHOVAH came from. You may wish to share this with you Jehovah’s Witness friends. The Hebrew name for God in the orginal Hebrew was Y H V H and the Hebrew name for Lord was A D O N A I. A group of Scribes in the 1500’s known as the Masoretes added a system of vowel points to enable the preservation of the original pronunciation. So they smushed these 2 words together and it spelled out YAHOVAH, and translated into english is JEHOVAH. I don’t think its a sin to call God Jehovah, but to claim it is the personal name of God is false. FAQ – Do You Ban Certain Movies, Books, or Songs? No. Our organization doesn’t review specific movies, books, or songs so as to rule on what our members should avoid. Once again as a former Witness I know that this is not the case. Here are some quotes for you… Awake 08/02/1993 until the title “What is wrong with my music”, you get a very different story about what music you are and are not allowed to listen to. Awake 22/07/1990 “Does It Matter Which Movies I See?” Tells us why we are not supposed to watch R-rated films. Watchtower 15/05/1974 “The Music You Choose” again you see that the Watchtower do tell you what you are and are not allowed to listen to. If you maintain that the Watchtower do not ban books….well then I would encourage you to read Crisis of Conscience by Ray Franz who was a former governing body member, then see whether or not the elders have an issue with it. 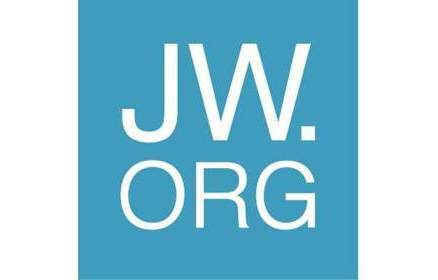 The website http://www.jw.org is designed to try and help you see that they are the only Christian organisation that are doing Gods will. I hope that this article helps you see that not only are they happy to lie about their doctrines, they are not a Christian organisation at all. Ephesians 5:11 – Have nothing to do with the fruitless deeds of darkness, but rather expose them.